Our inside return fitting glues into 2-inch schedule 40 PVC pipe and provides a flange at that end. This PVC pipe reducer will also provide a 1.5-inch FPT on the inside. 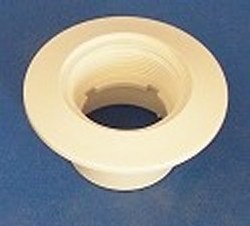 Check out our unique PVC pipe fitting below. For more inside pipe and other repair fittings, see our Inside Pipe and Repair Parts page.